Hello friend. I know it has been quite some time and I wish I could say that despite feeling as though I ended 2014 on a wing and a prayer that I haven’t felt like I’ve begun this year chanting “You CAN do hard things” either. 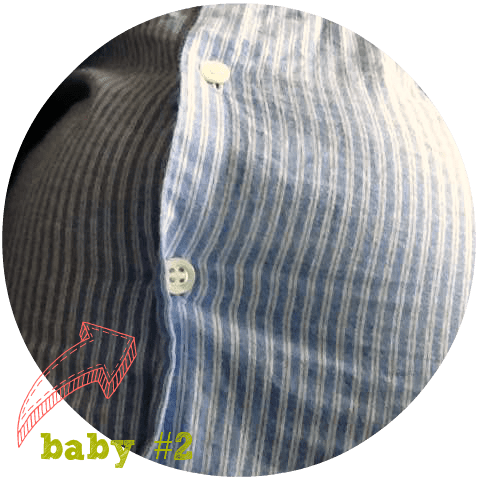 Instead I feel like this picture of my shirt holding on for dear life… However, as from the last few posts I wrote we started the year off with another baby! Can you believe we are on #2?!? Some days I can’t fathom the fact that we are going to have two kids – because sometimes I still can’t believe that we have one already…who by the way is running the show. But despite kicking off the new year and taking time away to refocus and honestly clear my mind – it sure does seem that I am finally facing what I can’t get away from. The paradigm between motherhood and working full-time outside of my home. Truthfully I stopped writing not because I didn’t want to, but because I did my best to shave off any extracurricular activities that didn’t seem to help me stay on task. Already fighting my constant desire to be my personal best and that little nagging reminder of what I think should be perfect didn’t gel very well with my myriad of heart’s desires. So one by one in the name of prioritizing I scratched off all the things that didn’t include motherhood, ministry, and work. Anything additional fit into a timed activity that I could either squeeze in during nap-time or when everyone else is occupied and I don’t end up feeling guilty… but it hasn’t worked ha! Sincerely to my surprise as I write this I realize that I’ve never felt so empty and disconnected from myself. Even with the best of intentions to focus, I find myself just as overwhelmed and even more frustrated that the very thing I’ve been trying to avoid is staring right me eye to eye. I’m not sure why there is so much fear to just say it. I know being ambiguous has never been a strength of mine, but as I sit and process the last few months speaking this truth about myself creates so much anxiety…but here it goes. …and it kills me because I can’t help but interpret that as I am a horrible employee. I love the work I do, I believe in it, but I believe in the impact of mothering my children and giving my home the best without any outside competition. I believe in chasing my dreams and not working out of fear that we won’t stay financially stable… I believe in sitting with young girls as they figure out their relationship with God and walking alongside my husband in our ministry… I look at people who have spent their whole lives working towards financial stability and never truly enjoying their lives or all that they’ve worked for. So what next? Because my circumstances are not changing…maybe my ratio of fear and courage are.